News Flash! 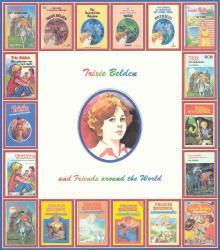 New editions of the first Trixie Belden books are available! Check out the new official website, http://www.randomhouse.com/kids/trixiebelden/! I've been a big fan of Trixie Belden mystery books since I was a kid; I used to act them out with my friends Debbie and Donna and Stephen. I was always Trixie, being blonde and chubby, and Stephen had to play every man in the books, but we had a wonderful time. Please sign my guestbook! I'd love to hear how you found out about me and where you're from! Trixie Belden Homepage: Lots of great information, links, and the Trixie Belden Message Board. Return to Tim and Lisa's homepage. This page last updated 10 July 2004.